USE. For scaling, chiseling, removing concrete build-up in mixers, light concrete demolition, cement finishing, form stripping. SPECS. 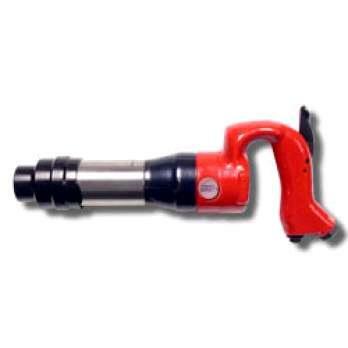 14-9/16" Length; .680 Round Chuck diameter with bearings; 3" stroke; Ball type throttle valve for easy throttle teasing; 1/2 inch NPT threaded air inlet for more secure fit; adjustable air exhaust deflector. * Please call us for any questions on our chipping gun air rentals in Tualatin and Eugene, serving the Portland Metro area, Eugene/Springfield Metro area, Oregon, and SW Washington.